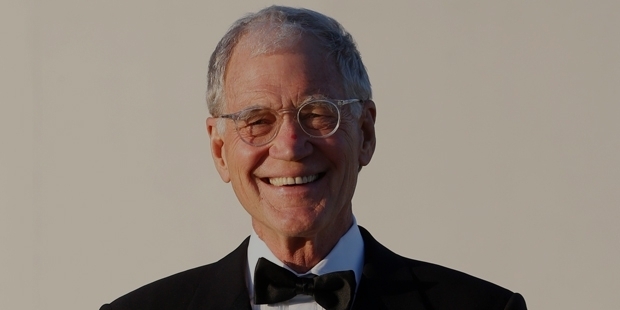 David ‘Michael’ Letterman was born on April 12, 1947 at Indianapolis, Indiana. He attended the Broad Ripple High School. He went to Ball State University where his broadcasting career began as an announcer and newsreader on the college’s student run radio station called WBST. After graduating from college in 1969, he joined the WNTS radio station as the talk show host on one of its daily programs. He had also joined the Indianapolis television station WLWI as a weather reporter. Here he would often make fun of the weather and keep the audience in splits throughout the show. With this Letterman realized that he had a good future in the field of comedy. In 1971, he did sports reporting for a brief period for the ABC network. In 1975, he finally decided to concentrate on full time comedy by shifting to Los Angeles, California. Here he began performing at ‘The Comedy Store’ where he was noticed by Jimmie Walker who hired him to write jokes for his stand-up show. In 1977, he became a regular on the show, ‘The Starland Band Show’ telecast on CBS network. In 1978, he became a regular guest on ‘The Tonight Show Starring Johnny Carson’. His dry, sarcastic humor became a hit with an audience within a short time.In June 1980, he was given the chance to host his own show on the NBC network called ‘The David Letterman Show’. The show was not able to be a commercial success but was able to win two Emmy Awards in the first season itself. He was asked to do a new show called the ‘Late Night Show with David Letterman’ in 1982 on NBC itself. He started by interviewing celebrities and added various interesting segments like Stupid Human Tricks, Top 10 List, Stupid Pet Tricks, unorthodox clothing presentations, Monkey Cam and Audience Cam. Within the first 6 months itself, the show had become especially popular with college students. Slowly his show had climbed the viewership ladders and was now among the top 5 shows watched in the U.S. In 1992, he signed with the CBS for a $14 million a year contract to host the show ‘Late Show with David Letterman’. He was in an intense battle with Jay Leno who was hosting the ‘The Tonight Show’ on the NBC network. Both these anchors had combined audiences close to 10 million each day. 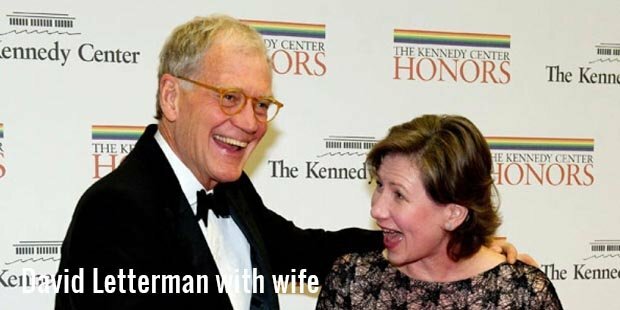 Over the years Letterman’s shows have gone on to receive 67 Emmy Award nominations. Throughout the running of the talk show, Letterman has gone on to interview almost all the celebrities which also includes the likes of Barack Obama, Roger Federer, Tom Hanks, Madonna, Tom Cruise, Maria Sharapova, John McEnroe and so on. As of 2013, it has been more than 30 years since he has started to host his own talk show.In 2009, his yearly salary was $32 million. As of 2013, his net worth is more than $350 million, making him highest earning entertainers in the world. He has been listed in the Top 50 TV personalities of all time by TV Guide in 1996. He has been one of the most famous successful person and entertaining TV personalities in the history of television.